Nettie Berkeley, a native of Oregon and local Cape Cod artist, creates work using an array of mediums. Although she attended Mass Art for metals/jewelry, her artistic interests are many including, water color, oil and acrylic painting, polymer clay, mosaic, metal work, beading, fibers and sewing, carving and printing, found object compositions and creations. She works out of her private art studio on Rte. 6A in Dennis. 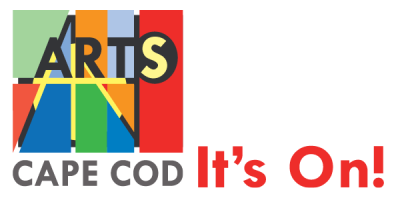 Nettie has been teaching art workshops for nearly 9 years including but not limited to many Public Libraries around the Cape through Youth Services, the Cultural Center of Cape Cod, the Robert F. Kennedy Actions Corp. as well as the Town of Barnstable Recreation Programs. Being greatly involved in Girl Scout Leadership for 7 years provided a wonderful way to share the love of art education, life-long learning skills, imagination, and creative problem solving with young people. 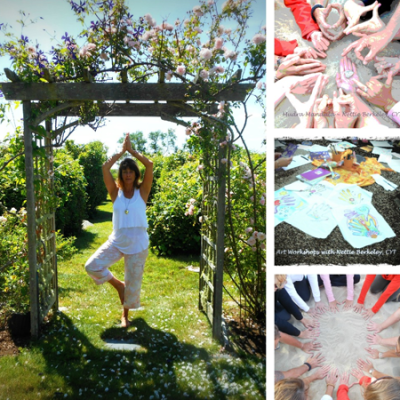 She is a certified Yoga Teacher from Kind Yoga School on Cape Cod and integrates Mindfulness techniques with students to help them fully engage in their art-making process. She also Co-Founded of The Teen Artists Coalition of Cape Cod (TAC). The TAC program was brainstormed along with Sturgis Library’s Youth Services Librarian in 2013. TAC is Art Enrichment – 3 hour Creative “Cool, Unique and Edgy” Workshop. Her motto and focus of these workshops is “It’s the Process, not the Product!” In 2014, Nettie introduced “TAC on Tour,” a spin-off program she takes on the road to other locations and Libraries across Cape Cod.